Our goal is to connect people with the best local experts. 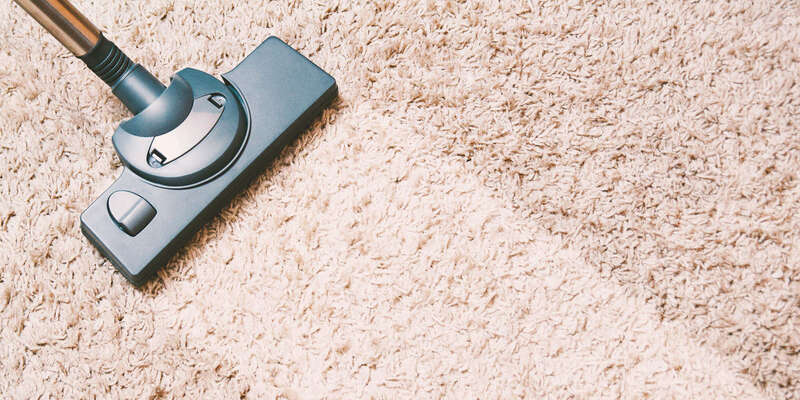 We scored carpet cleaners on more than 25 variables across five categories, and analysed the results to give you a hand-picked list of the best carpet cleaners in San Diego, CA. A L Cleaning Services is a San Diego carpet cleaning company that serves residential customers. The business' employees have more than 20 years of experience in the carpet cleaning industry. A L Cleaning Services has flexible hours, including evening and weekend hours, and is certified by the Institute of Inspection, Cleaning & Restoration. The business steam cleans carpets, cleans Persian and oriental rugs, removes stains, cleans tile and grout, removes odors, and cleans upholstery. Affordable Clean Carpet Service is a San Diego carpet cleaning company run by a team that has more than 30 years of experience in the industry. The business is accredited by the Better Business Bureau with an A+ rating. The company cleans tile and grout, area rugs, upholstery, and carpets, and also removes pet odors and repairs flood damage. Affordable Clean Carpet Service supports the Wounded Warriors Project. All American Carpet and Tile offers professional cleaning services to the San Diego, California area. A certified business with the IIRC or the Institute of Cleaning and Restoration Certification, they are committed to providing reliable services to their clients. As a BBB accredited business with an A+ rating and a member of the Carpet and Rug Institute, they are known for the quality of work that they offer not just to homeowners as well as business owners. They specialize in carpet cleaning and repairs, stone and tile cleaning, wood floor cleaning, area rug cleaning, and much more. Using modern tools and effective cleaning method, they can provide deep cleaning to get rid of any stain, dirt, grime, and bacteria in all kinds of carpet. Aloha Floor Care uses eco-friendly practices in its San Diego carpet cleaning services. The business' products are plant-based and hypoallergenic to create indoor environments that are safe for kids and pets. The company deep cleans and steam cleans carpets and cleans tile and grout, marble, natural stone, hardwood, and concrete. Aloha Floor Care is accredited by the Better Business Bureau with an A+ rating. AtoZ Optimum is a San Diego carpet cleaning company based in Chula Vista. The business is accredited by the Better Business Bureau and uses Green Seal certified products. AtoZ Optimum cleans carpets, cleans upholstery, repairs and installs carpets, removes pet odors and stains, and cleans tile and grout. The business has received praise for its friendly and professional employees. The team at Churchill Carpet Care is available 24 hours a day for emergency carpet cleaning services. The company removes stains and cleans tile, and customers attest to its team's professionalism and punctuality. Churchill Carpet Care uses the Rotovac Carpet Restoration System to deep clean carpets. Complete Floor Care is a San Diego carpet cleaning company that has served the area since 1982. The business is certified by the IICRC and uses Green Seal certified products. The company cleans upholstery, mattresses, and tile and grout, and removes pet odors and stains. Customers have praised the business for its quality work and prompt, attentive employees. Conder Carpet Cleaning is a family-owned San Diego company that has served the area since 2001. The business serves homes and offices with carpet steam cleaning, odor removal, linoleum cleaning, tile and grout cleaning, upholstery cleaning, leather cleaning, and dryer vent cleaning. Conder Carpet Cleaning uses Green Seal certified products in all of its carpet cleaning services. Customers attest to the team's above-and-beyond service and fast work. Ecoclean Services is a family-owned-and-operated business that makes use of eco-friendly techniques to provide safe and effective cleaning services for residential and commercial property owners in San Diego, California and the surrounding areas. In every project they handle, they only use cleaning products made of natural, biodegradable, and hypoallergenic ingredients, so clients no longer have to worry about breathing in chemical vapors, perfumes, or residues. In addition to carpets, they clean upholstery, area rugs, tiles, grout lines, windows, and offices. They also provide pressure-washing service to remove heavy and stubborn stains on hard surfaces. Ecoclean Services has a 5.0 rating on Facebook, a 4.5 on Yelp, and has been on Angie’s List for ten years. They are an approved business by Green America and is certified by Green Built Business. The team at El Cajon Carpet Cleaning Experts is on call 24 hours a day. The business, based in El Cajon, cleans carpets for homes, offices, and businesses. The company also cleans air ducts, repairs water damage, extracts water, disinfects floors, cleans tile, deodorizes carpets, and cleans upholstery. Imperial Carpet Care is a San Diego company that serves residential and commercial customers. The business removes pet stains and odors, repairs water damage, cleans oriental rugs, cleans upholstery, and cleans tile and grout. The company uses eco-friendly practices in its services. Imperial Carpet Care has received praise for its quality service and efficient work. Mills Technique of San Diego has provided carpet cleaning services to the area for more than 30 years. The business uses fast-dry practices that ensure a dry carpet in 30 minutes. The company is accredited by the Better Business Bureau with an A+ rating. Mills Technique of San Diego provides rug cleaning, floor cleaning and sealing, tile and grout cleaning, wood floor cleaning, and laminate floor cleaning. Ocean West is a family-owned and veteran-owned carpet cleaning company based in La Mesa. The business, founded in 2010, is a member of the San Diego Regional Chamber of Commerce. The company cleans upholstery, area rugs, and tile, and removes pet odors and stains. Ocean West's practices are family- and pet-safe. Customers have praised the business for its safe cleaning products and competitive prices. Peninsula Carpet Care is a San Diego carpet cleaning company that uses entirely organic and green products in its services. The company uses a hot water process and rotary extraction to clean carpets, which helps carpets dry faster. Peninsula Carpet Care uses Green Seal certified products. Customers have praised the business for its professionalism and fast service. Pure Light Cleaning Specialists is a San Diego carpet cleaning company based in El Cajon. The family-owned business was voted the EC Chamber Micro Business of the Year in 2014. Pure Light Cleaning is certified by the Institute of Inspection Cleaning and Resoration. The company serves residential and commercial customers with natural stone cleaning, tile and grout cleaning, odor removal, and 24-hour emergency services. SD Green Clean is a carpet cleaning company based in La Jolla. The business serves commercial customers such as offices, schools, gyms, health care facilities, banks, and shopping centers. SD Green Clean uses environmentally friendly products in its services to reduce air pollution, improve indoor air quality, reduce sick time, and create a healthier environment. Customers attest to the owner's honesty and great customer service. Steam 'N Clean Carpet Cleaning is a San Diego carpet cleaning company that provides emergency 24-hour water and fire damage restoration. The business uses non-toxic, environmentally friendly products in its services to keep pets and kids safe. The company cleans rugs, upholstery, tile and grout, and air ducts, and removes pet stains. Toro Steam Cleaning is a carpet cleaning company based in Bonita. The family-owned business uses pet-safe practices to clean carpet, tile and grout, area rugs, and upholstery. The business is certified in natural stone restoration. Toro Steam Cleaning serves homes and businesses in the area. Upright Cleaning & Restoration is a San Diego carpet cleaning company based in National City. The family-owned and locally-operated company deep cleans carpets, removes mold, cleans tile and grout, and cleans furniture. The business also provides 24-hour emergency water removal and uses pet-friendly practices and cleaning products. Customers have praised the business for its fast service and professional employees. Upright Cleaning & Restoration has additional locations in Sacramento and Evansville, Indiana. We Clean San Diego is a locally-owned and operated carpet cleaning company that serves residents, businesses, schools, and homeowner associations. The licensed, bonded, and insured business uses non-toxic and biodegradable products in its services. We Clean San Diego alos provides emergency cleanup services, nighttime office cleaning, move-in and move-out cleaning, and free work estimates.